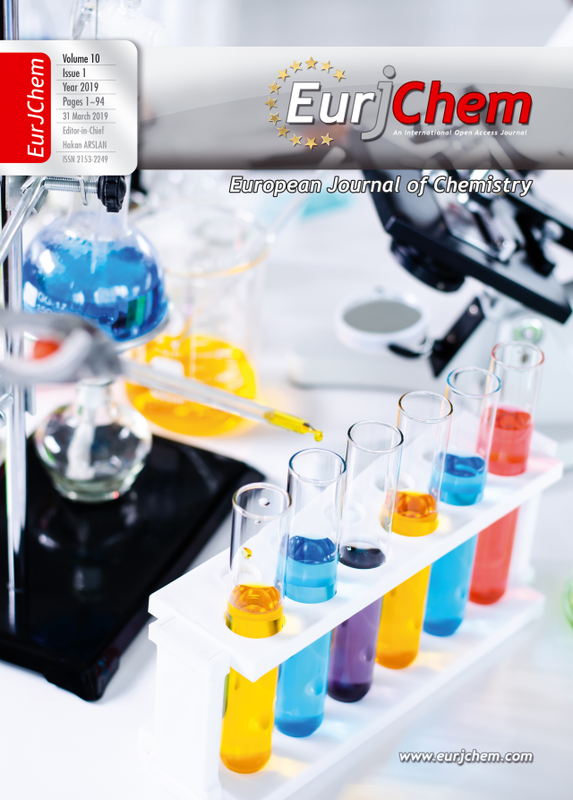 European Journal of Chemistry accepts original research and review papers as well as letters in all areas of chemistry. A manuscript submitted to the journal for publication should be original. It should not have been previously published and should not be under consideration for publication elsewhere. All published research articles in this journal have undergone rigorous peer review, based on initial editor screening and anonymised refereeing by at least two expert reviewers. Authors are encouraged to suggest referees for their work. The journal is published print and online and articles are available as online rapidly after acceptance. The published articles are expected to receive high citations as the journal develops and reaches prominence in the field. I expect that European Journal of Chemistry will attract manuscripts of the highest quality which are of the greatest possible benefit to readers. We look forward to receiving your submissions.Please do not hesitate to contact the Editor, if you would like to discuss the suitability of your contribution to European Journal of Chemistry. Acceptance of papers is undertaken by Associate Editors or the Editor-in-Chief. All papers are refereed. Editorial Board members adjudicate in the case of conflicting or adverse reports. [The citation data obtained from Crossref (Cited-by Service)]. Our editors have decided to support young scientists and crystallographers to publish their manuscripts in European Journal of Chemistry without any financial constraints. 1. The article publication fee will NOT be charged from the articles containing the single crystal structure characterization between March 1, 2019 and December 1, 2019 (Voucher code: SINGLE2019). 2. Young writers, scientists and crystallographers will NOT be charged for the article publication fee between March 1, 2019 and June 1, 2019 (Voucher code: YOUNG2019).